On your last point, check out the Stone-Campbell Dialogues, which this was held in Abilene and includes all three branches of the Stone-Campbell Movement in North America: Churches of Christ, Christian Churches/Churches of Christ (or Independent Christian Churches), and Christian Churches, Disciples of Christ. Also, Doug Foster, professor of church history at ACU, has long been involved with the Stone-Campbell Dialogues and the World Council of Churches of Christ. He recently co-edited a new Restoration Movement history textbook with editors from all three streams, which was published by the Disciples’ Chalice Press. There are a lot of things going on too at the local level. Churches getting together for worship and fellowship. 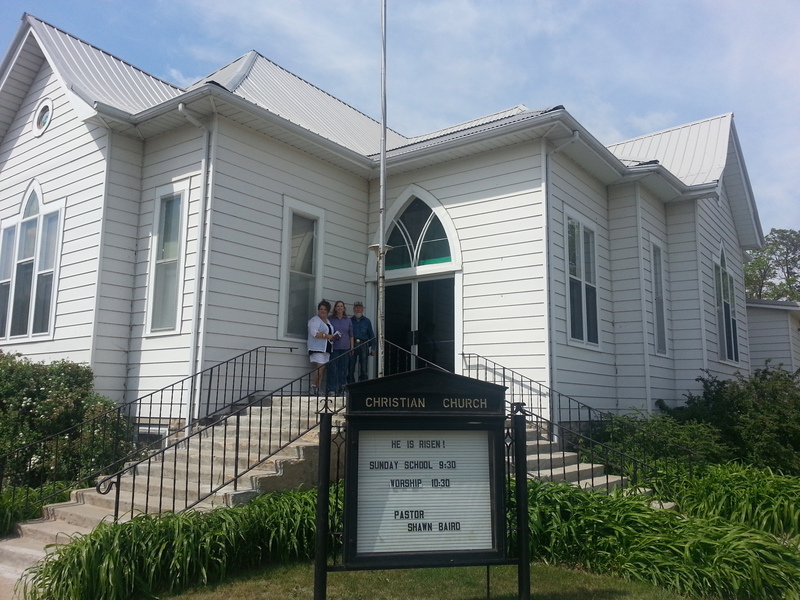 In Albany, Texas last year, the Church of Christ, Disciples of Christ, Presbyterian, Baptist, and Lutheran congregations hosted a single VBS for the town. I watched the preacher of the Albany Church of Christ spend his Saturday evening vacuuming the sanctuary of the First Christian Church (DoC), so that it would be ready for the congregation the next morning. You’re right, the Christian Chronicle and other publications would do well to make the local, national, and international efforts at ecumenical reconciliation more visible. Mark, when I lived in north Carrollton, I was a member at Farmers Branch church, half hr drive. FB was/is quite an adventurous church. Every trip I was driving by Valley View Christian on Marsh. One day I just turned in there! [When one is by oneself, one can do impulsive things] I loved being there from then to the time I left Carrollton. Bible classes were excellent, music was–in my view–of minimal consequence there. On returning to Tulsa I went with my children to a Christian Church, hoping it would be an answer for them. It wasn’t, so now I am not sure what I will do. The local Christian Church has a lot going on, fine children’s program, etc. The best part of all for me was a class called “Cover-to-Cover”. An elder and his son, who is on staff, share the teaching. They are excellent. They go straight through the scriptures, sharing cultural/political background info, maps, cross-reference material, vocabulary that might be helpful… These men are products of Ozark Christian College, in Joplin, which now has my full respect. The music service however, is tough for me. It is loud, very repetitive, goes on forevvvvvver, the congregation is barely involved. Most of the ‘band’ group dresses as if they are going outside for hard labor and sometimes they are not modestly dressed. It seems out of character for the church there, but I guess they are trying to reach young people. It is unfortunate, not because it is music, but because of the way they present it and themselves. There is no question in my mind, however, that these folks are our siblings in Christ. We have plenty of our own problems in the C of C. It was interesting to me, studying on my own, to learn of the polarization of the church in the last part of the 19th C. So depending on which publications our leaders were reading…..and which side of the Mason-Dixon line we were on determined our position? We can debate the use of instruments, but we cannot debate what God thinks about dividing the church. That is crystal clear. Mark, I think you were a little hard on David Lipscomb, but you are the second person who has said something about this about his begrudging perhaps regretted, and certainly regretful, decision. Otherwise, this is great. We struggle with this so much here in Malawi. The churches and most leaders are soo o o o sectarian. Thank you. Well, I consciously avoided naming him because I really don’t know what his motivations were. And I agree with you that a sectarian appears far too often on the mission fields. I’ve thought a lot about this and think that it probably is the result of receiving doctrine at some point in the past, but failing to continue to mature. Lots of churches–at home and abroad–just freeze in time! They are reproducing without the nobility of the Bereans! What do you think, Bruce? I have visited with several instrumental churches over the years. Currently they experience the same problems we do,- so working together would make sense on many levels. Also, at one point I was looking for a church closer to a coworker, where I could take her. One of the churches whose parking lot I visited had a sign “Church Of Christ, Non-Instrumental”. I did not even go in. Is this the best we can say about ourselves? Is this what we want to convert people to? Certainly no me.